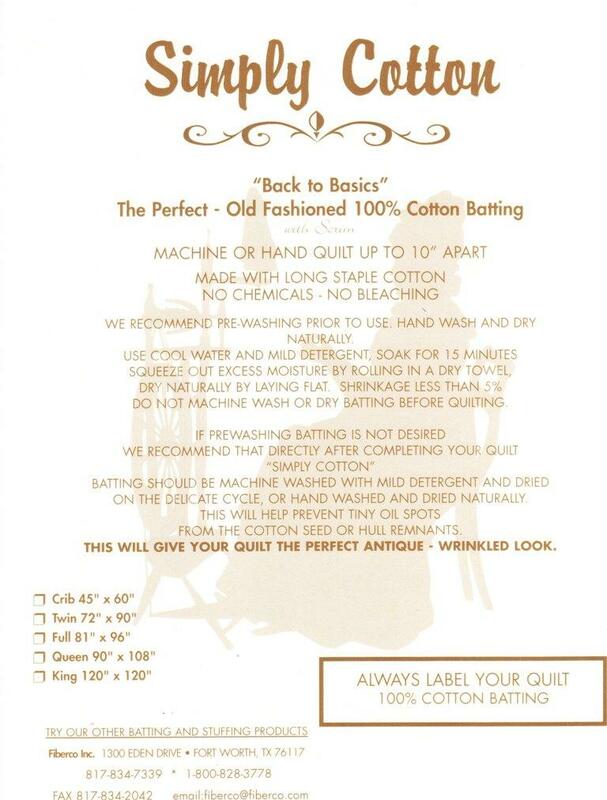 The Perfect- Old fashioned 90" 100% cotton batting, made with long staple cotton. This will give you quilt the perfect antique, wrinkled look. No chemicals and no bleaching. Machine or hand quilt up to 10" apart.